Our last blog post covered the Push Intelligence Portal and why organizations need to connect all their business intelligence tools and data sources into a single portal so users no longer have to log in to multiple locations for content. But what if users don’t have time to look for the right reports & data or they are not regularly at their desk? What if users don’t have the information they need when they need it? And what happens when BI teams are still getting requests for information from these end users? A lot. Users get frustrated, they get lost, and BI teams are leaned on too much. How do we solve this problem? Content Bursting. Content Bursting is content collected from multiple systems or sources and delivered to an audience on a schedule when that content changes. 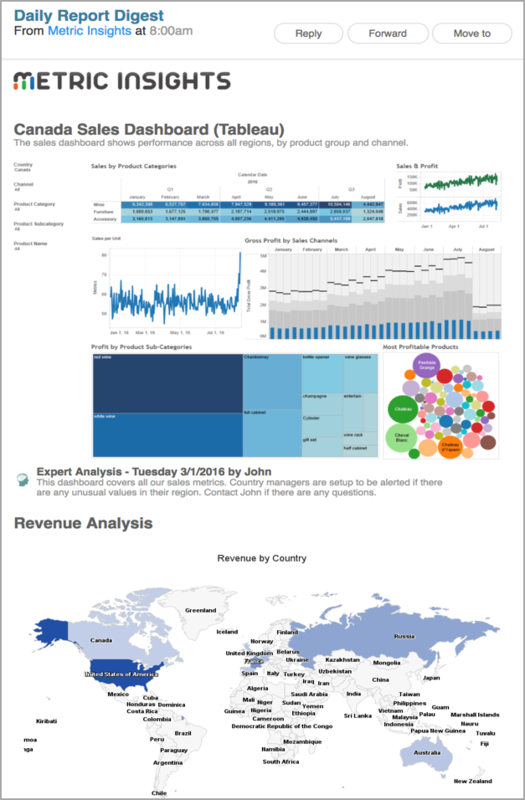 Images can be combined from multiple dashboards or systems into a single email that will allow the user to quickly scan all their most relevant Business Intelligence content directly via email (no need to login to BI applications). Attach PDFs, powerpoints, or raw data in the form of csv’s so that users can perform additional analysis offline. Bursting is most effective if the audience does not regularly login to view content. All content in a Birst should be relevant to every subscriber to the Burst. It is better to have a large number of highly targeted Bursts, than to have a Burst sent to individuals who only care about some of the included content. Customize dimension and filter calies on Burst content so that each user is receiving reports and dashboards that are pre-filtered to her specific focus area. This can be accomplished through user-maps, Trusted Server Authentication, or Dimension access. Set Burst content and setting so that only newly updated content is included (avoid bursting stale reports). Consider the audience when selecting or designing the email template for the Burst. Carefully evaluate the value generated by each item that is included in the Burst to ensure that it is likely to engage the user on each Burst distribution. 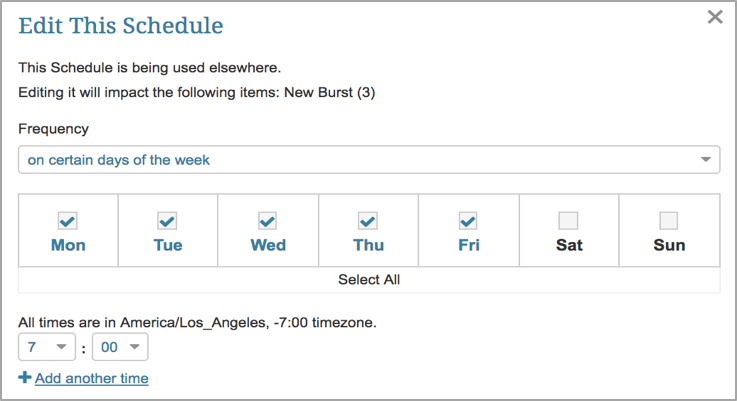 Schedule Burst frequency and timing in a way that will satisfy data dependencies and maximize value to the audience. In conclusion, the benefits of content bursting are that users no longer have to hunt for information, engagement with critical content increases, and BI teams are freed up to perform more important tasks.